Let's face it, it's inevitable that a dry bag will get ripped or torn, particularly if you shoot some insane rapids. To minimize the damage and make sure the dry bags are still useful for the duration of the trip and beyond, you need this handy Dry Bag Repair Kit. This kit contains vinyl adhesive and four assorted four-inch vinyl patches to repair punctures in dry bags. Let&apos;s face it, it&apos;s inevitable that a dry bag will get ripped or torn, particularly if you shoot some insane rapids. To minimize the damage and make sure the dry bags are still useful for the duration of the trip and beyond, you need this handy Dry Bag Repair Kit. 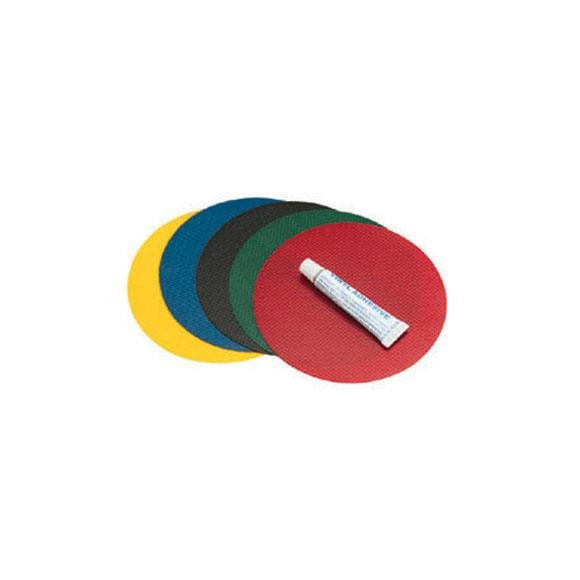 This kit contains vinyl adhesive and four assorted four-inch vinyl patches to repair punctures in dry bags. Four assorted 4” vinyl patches in assorted colors.